Ah, so here we are – the guy gifting. This always seems to be the hardest part about shopping for the holidays, and I’ve definitely been in this difficult spot before. But before you start freaking out and wracking your brain, let me help you with some gift ideas for the special men in your life. Shopping for the guys doesn’t have to be as hard as it seems – my tip is to start with a hobby or things he’s interested and go from there. A simple Google search can bring up a slew of ideas to help you out. And if you’re still unsure on what to get, then hopefully this list will help! Again, I know that there are also really great grandpa’s and uncles out there, but to keep this list from going on from here to Mars I kept things basic. Wear Your Music Eric Clapton Guitar String Bracelet, $500 (prices vary by artist). I’m not sure how I came across this website a couple years ago, but it is by far one of the coolest I’ve ever found. I was looking for a birthday gift for my new (at the time) boyfriend and wanted to do something different and special. He’s a total music junkie and guitar lover (and sometimes player) so this seemed like an amazing gift for him, and it turned out to be. Head over to WearYourMusic.org to browse their collection of artists to find the perfect gift for your musician boyfriend or brother – and know that your purchase will help out the charity of the artist’s choice as well. Bracelets come in a DVD case with certificate of authenticity. 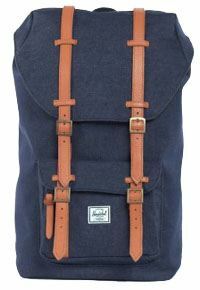 Little America Denim Backpack, $149.99. My brother picked up this book bag about a year ago and he (and I) has been in love with it ever since (I’m seriously considering buying one for myself). Anyways, these super hip bags are perfect for your college guy or brother, great for the city dweller, or for someone who likes to travel in style. They’re spacious, comfortable to carry, and look great with just about anything and that makes them easy to wear. My brother loves his so much that he picked up one for my boyfriend for Christmas (I totally hope he’s not reading this article right now because that would mean I just spoiled the surprise!). Tumi ‘Monaco’ Slim Single Billfold Wallet, $108. I have always stressed that guys should have at least one nice, professional, adult looking wallet. It looks good when he’s at a business or more formal event where whipping out a tattered or silly looking wallet isn’t the best scenario (unless you work for a really awesome, hip company that doesn’t give a crap about how professional your wallet looks, in which case I’m jealous and this wallet nonsense means nothing). 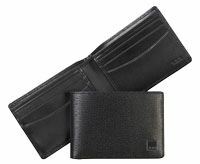 This Tumi wallet is super sleek, will fit well into any style wardrobe and can be carried just as easily casual as it is professional. This particular brand is another personal gifting fave of mine so I can attest that this is a great item. 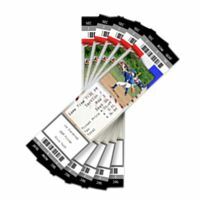 Baseball/Football/Basketball tickets, prices vary. Is your brother/boyfriend/husband a super sports fanatic? Does he love watching the games on TV but would he love getting into the live action even more? Then why not surprise him with tickets to a game and let him scream, drink, and eat to his hearts content. There’s nothing like the thrill of a sporting event and being able to experience it first hand is a total trip (and I mean that in a good way!). Head over to your local sports team’s website for more information on upcoming games and ticket pricing. Stubhub is also a great resource and they provide the option of giving your guy a gift certificate so he can buy tickets to the game of his choice. Jo Malone 154 Cologne, $110. The men in my life love to smell good and helping them find a new signature or different fragrance is always special. There are so many colognes out there to choose from, but why not take it one step further and create him one. If you know what scents he likes (woodsy, sweet, soft, etc) take those hints and combine the elements to create him the perfect fragrance. Jo Malone is a great way to do this and if you head to one of her boutiques (Nordstrom and Saks also carry her collections) you can get some pointers from skilled fragrance mixers to help you create the perfect personal blend. 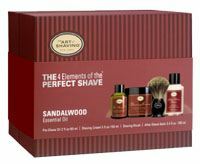 The Art of Shaving The 4 Elements of the Perfect Shave- Sandalwood, $115. If you’ve got a dad who loves to stay well groomed, then this is definitely the gift for him. The Art of Shaving has some really fantastic products that will keep your dad looking flawless and feeling good. I’ve seen the effects of using this product and they’re fantastic so picking up a gift set will be a wonderful gift. If he already has a routine, why not buy him a new razor – Art of Shaving has some incredible options and it is crazy how much the handle of your razor affects your shave. And if your old man likes to get pampered, treat him to one (or why not a month’s worth) of straight razor or fresh shaves at his favorite barber shop or salon. 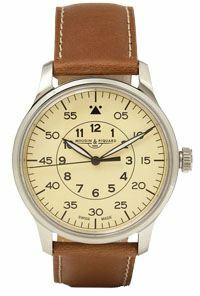 Mougin & Piquard X J Crew Grande Seconde Stainless Steel Watch, $425. Just like a wallet being an essential, a great watch is one as well. There is nothing better than a masculine, classic timepiece and you can never have too many. Try to find one that incorporates your dad’s overall style or maybe get him to try something new – there definitely are a lot of options to choose from! And while you’re at it, take it a step further and really personalize it with some engraving. If there’s a special saying or something special that you two share, engrave that. Or even just your initials and the date is perfect. But whatever you choose, making it personal will really add to the magic of the gift. The Jimi Hendrix Anthology (Vinyl Collectors Edition), $65.99. 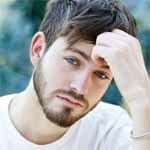 Another website that I’m not sure how I found, but another great one nonetheless. 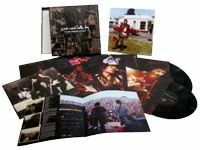 This is definitely great for the total music lover because this site is all about really awesome collector editions and tons of vinyl. Picking up one of these sets for your dad will have him rocking out for hours to his favorite artist/band and even take him back to some really awesome time in his life. If you can’t find what you’re looking for here, head over to eBay and do a quick search and it’s here, too, that you can look for some autographed pieces. Just make sure to look for top sellers and cards of authenticity from reliable companies (I picked up an AC/DC Angus Young autographed sleeve with working vinyl for a really great price last year). Dewar’s Signature Blended Scotch Whiskey 750ml, $159.95. Alcohol is always a solid choice for those who like to have a cocktail every once in awhile, but why not bring some luxury to your gift by buying dad an aged or signature blend by his favorite distillery or brewery. If there’s something he’s been eyeing, treat him to it. If he’s a fan of a certain brand, check out their website for special bottles they produce. And while you’re at it, see if his favorite liquor or beer brand has an ambassador or fan club that you can sign him up for – they’re usually free and send out awesome promotions randomly throughout the year. Makers Mark, for instance, puts your name on a barrel of whiskey with their ambassador program and offers you the opportunity to purchase a bottle from your batch! Ohio School of Gold Guaranteed Gold Package, $169 (other packages available). It’s never too late to learn something new, so why not treat your dad to the gift of a new hobby or lessons to improve one he already has. Maybe he’s been yearning to better his golf swing, or wants to become a master in the kitchen, or maybe he’s been meaning to dust off that guitar of his and start playing again. Why not help him achieve his goals through buying him lessons. This is a gift that not only allows him to spend some time well deserved quality time on himself over the course of the lessons, but it’s something that he’ll greatly enjoy. Check out your local businesses for professionals and price packages. 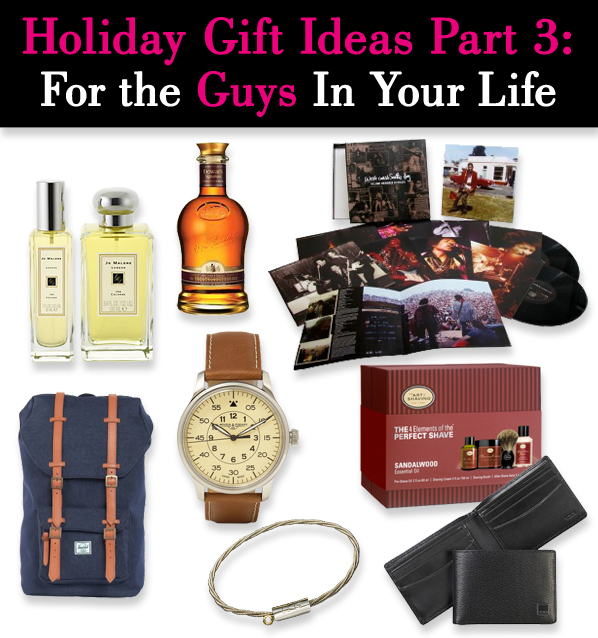 So hopefully this helped you gather some ideas for those hard to shop for men in your life! Spoil them a little – they deserve it! 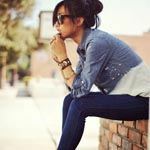 Emiko Vaughn is a personal stylist, wardrober, and blogger from Cleveland, OH. She currently co-owns and operates personal styling company Lageson & Vaughn with her business partner, Kirsten Lageson.